I've been driving by this truck that appears to never move since it showed up at the West Alabama Ice House (19191 W. Alabama, Houston, TX). Time to try some low hanging fruit. 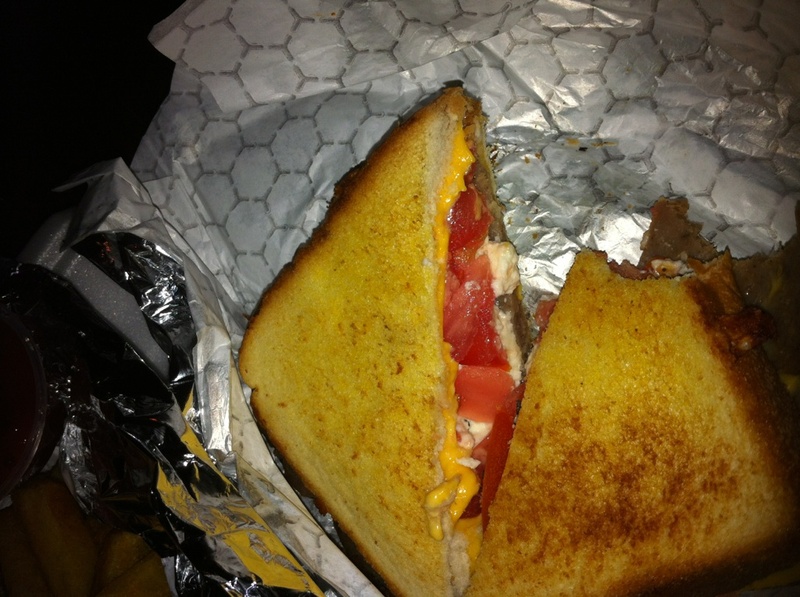 Pete's Special ($5): A grilled cheese sandwich topped with Fete, Gyro meat slices, and tomato. It's served on plain old white bread, drenched in butter. One word describes this sandwich, cheesy! It was really too much for me. The sandwich really needs a bit more crisp to the grilled bread, it just gets soggy too fast. It did make me wonder if it was made with a pita would it be more interesting? Synopsis: Cheesy! unusual but not a special grilled cheese. Gyro and Fries ($8): Its a pretty Gyro I'll give you that. Nice fresh tomatoes, onions, and some fresh basil. Good fresh pita. I love a good Gyro and dove right in. I can't find a thing wrong with this Gyro, but it didn't excite me. Don't get me wrong, it was tasty, I'd even eat it again, but I don't think I'd go out of my way to go find it again. Synopsis: Pretty and tasty, but left me craving something. 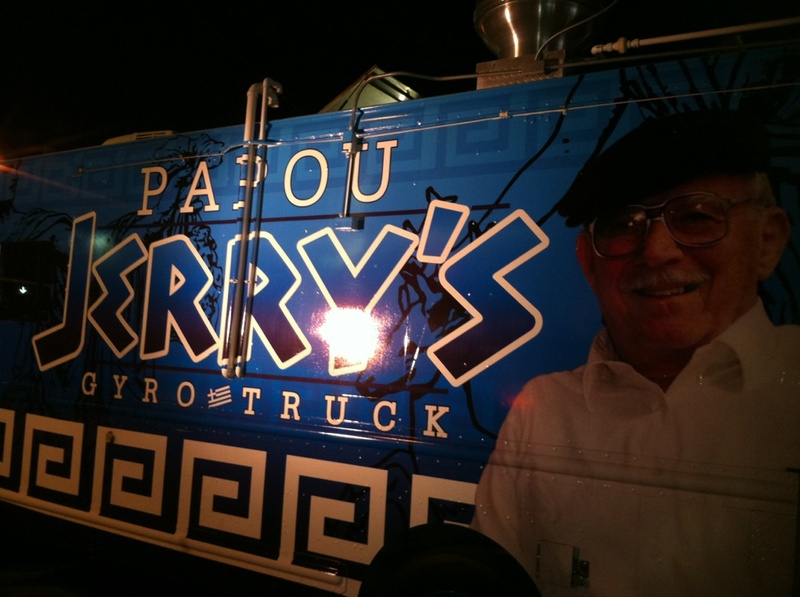 Fries ($3): What is it about Greeks and fries? Seriously, running down my top ten fries of all time in my head, there are a lot of Greek restaurants in there. These would probably be in there. The blend of spices on them are great and they have the perfect crisp fry that holds up and stays crisp. Synopsis: What ever you get here, its going to be better with fries. Other items on the menu but not tried, cheeseburger, grilled cheese, Greek pizza, and Parmesan Fries. The Greek Pizza sounds interesting, a small pizza made with a pita with tomatoes, gyro meat, and feta. Wrap Up: Something I observed while waiting for our food, all the patrons at the ice house were going across the street for tacos from the truck that used to be parked there at the ice house. That does tell you something. I can't find a lot wrong with the food here, but I think I'd walk across the street for a good taco too if given a choice. Raw meat and cold fries. A waste of money. I don't recommend at all.